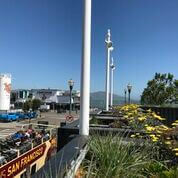 This newly installed project was a collaboration between architect, landscape architect and contractor refacing the exterior façade at Mason and Powell in the heart of Fishermans Wharf in San Francisco Anod to the industrial wharf inspired courtyard designed by JETT at the adjacent Hotel Zephyr, the refurbished shipping container planters wrap the second story parking lot at the Hotel. 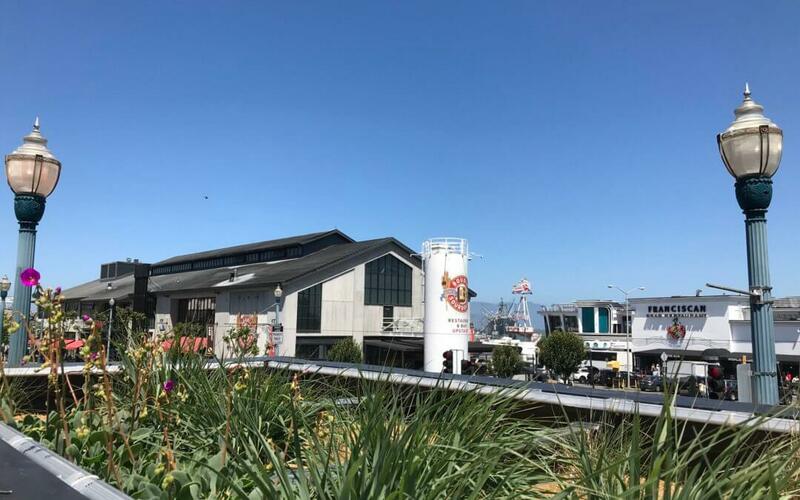 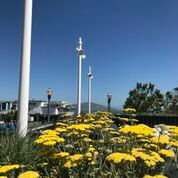 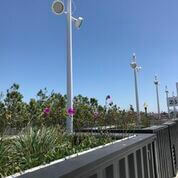 From the heart of Fishermans Wharf, plants peek out above and spill over the planters designed by BCV Architects. 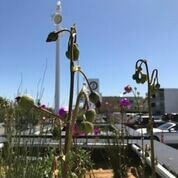 JETT worked with BCV Architects and project contractor Centric Builders to implement the planting, irrigation and drainage systems with custom planter liners by Tournesol Siteworks. 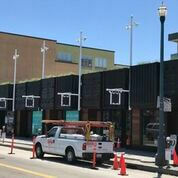 The project as a whole creates an exciting update to the building façade and rooftop parking with both whimsey and elegance for a fresh new look.